Our company offers Garage Boring Machine, which is widely used in engineering & other industries. They find their application in marine, re-boring of an automobile and stationary engines and available in various sizes. 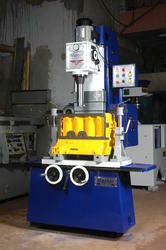 Our customers can avail the machines at industry leading prices. Looking for Boring Machine for Garage ?